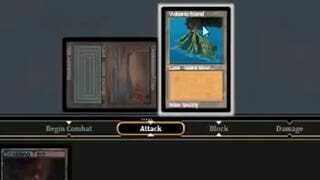 Does This Look Like A Magic: The Gathering Clone To You? Disputes over intellectual property walk a fine line between meting out justice and delving headfirst into a ridiculous bramble of legalese. 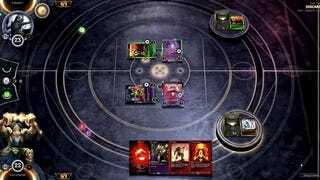 It's not clear which side Magic: The Gathering publisher Wizards of the Coast's lawsuit against the creators of Hex: The Shards of Fate will end up on. But trying to compare the two games, I can already tell that things are going to get tricky. I mean, just look at the animation up top. That's an image from the debut trailer for Hex, which was released shortly after the game completed a phenomenally successful Kickstarter campaign in 2013 that gathered well over $2 million. Similar? Yes. Different? Also yes. And that's not even getting into the rules for the two games. So is the former game representative of some "misappropriation of [the] intellectual property" of the latter? That's Wizards of the Coast's charge. Attempts to reach Cryptozoic for its side of the story have been unsuccessful so far. I'm not an expert in either of these games. But since I first wrote about Wizards of the Coast's lawsuit, I've been getting a lot of feedback from people who are. So let me put it out to the card-game playing public: what do you think?